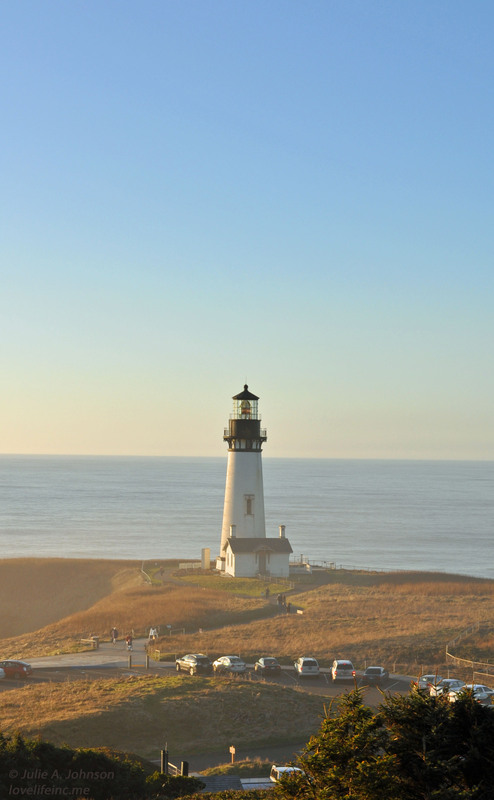 Heceta Head Lighthouse is one of the most photographed lighthouses along the Oregon Coast. It’s become a staple among people looking for a place to take breathtaking photos and to chase a little ghostly lore. 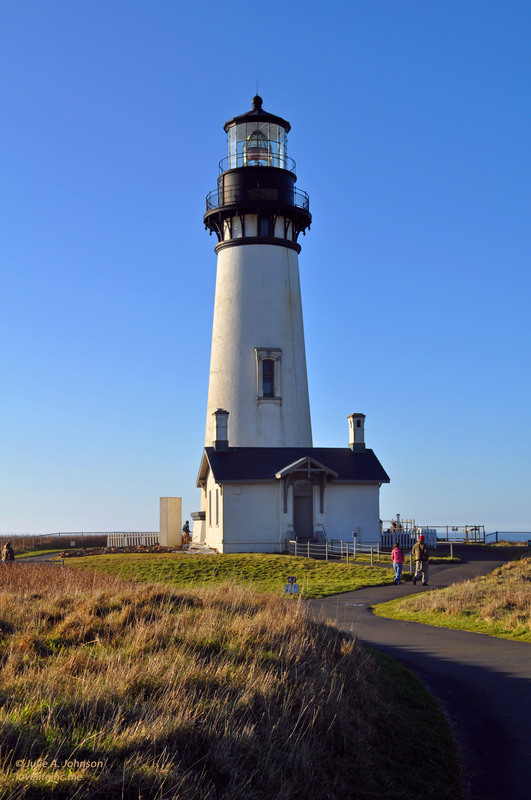 But one of the best lighthouses for hikes is actually the Yaquina Head Lighthouse in the Yaquina Head Outstanding Natural Area just north of Newport, Oregon. 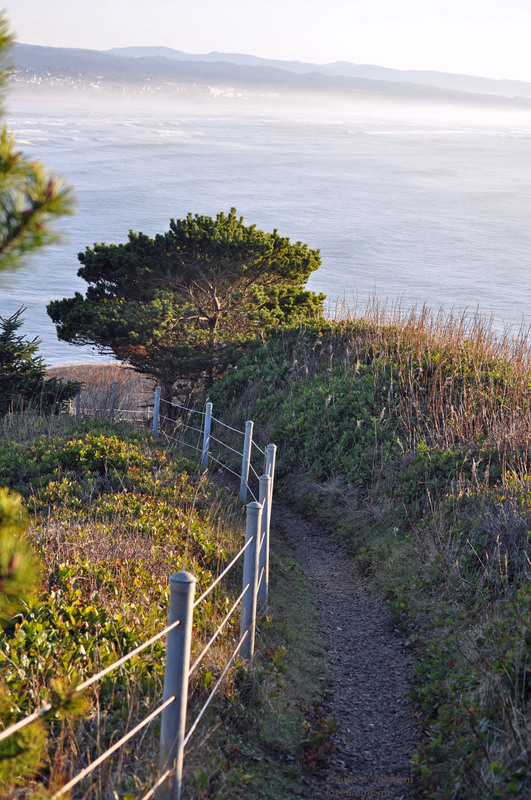 Managed by the U.S. Bureau of Land Management, the 100-acre site boasts five well-worn trails that stretch from the lighthouse to the ocean to the hills overlooking the entire region. 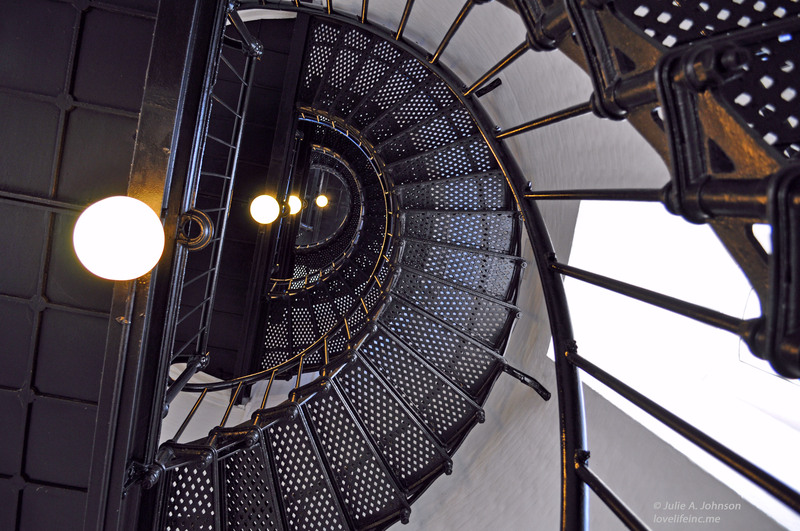 Driven by the promise of a winter’s day of beautiful weather, I made a recent visit to the lighthouse. The original lighthouse — first lit in 1873 — and lighthouse office still stand, and the lighthouse continues to shine day and night to warn ships away from shore. 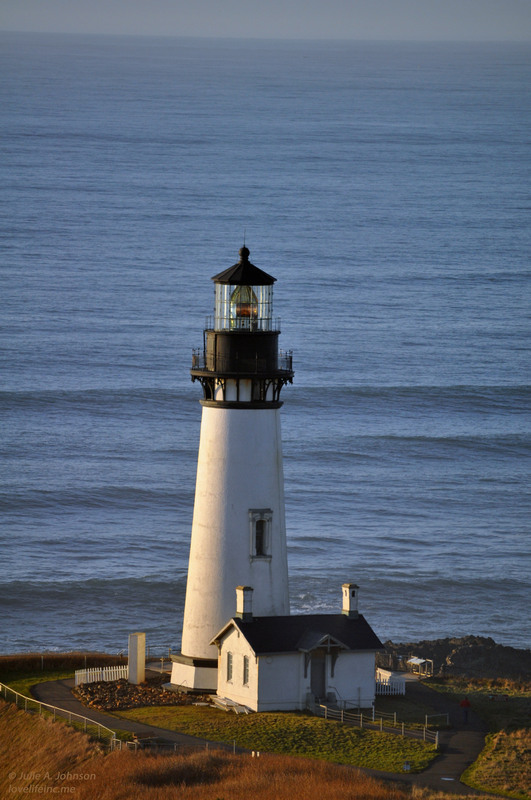 Standing at 93 feet, Yaquina Head Lighthouse is the tallest along the Oregon Coast. You can still climb to the top and catch a glimpse of the lantern and the original lens, which is still in place but is now illuminated by a 1,000-watt electronic globe. Park rangers told me that 111 narrow stairs lead to the top, but it didn’t feel like quite that many. Regardless, the climb is still a good, yet brief, workout. Of course, I had to take Cooper with me. I checked out the area online in advance and knew that many of the trails were dog friendly. 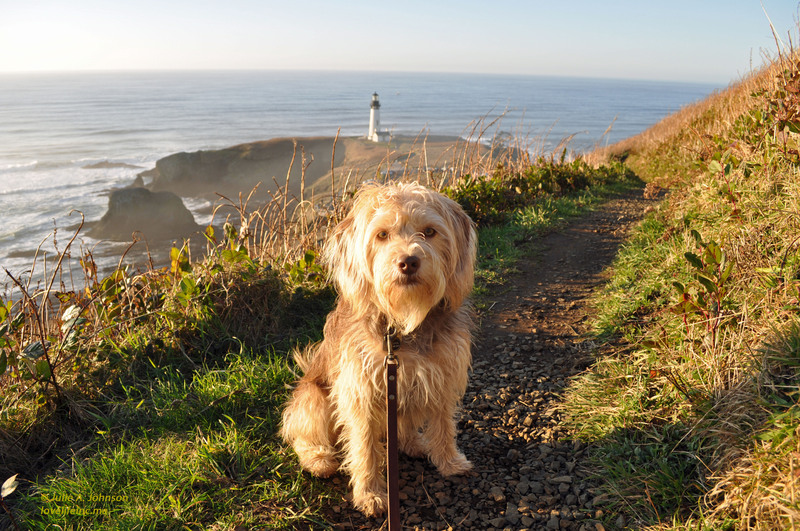 Canines just aren’t allowed in or around the lighthouse itself. BLM workers also warn against taking them to Cobble Beach or along the Quarry Cove Trail, which leads to artificial tide pools. One worker told me that they give the warning to every dog owner, but many still choose to take their pets to these areas only to end up nursing sliced paws and even broken legs. I had my sights set on hiking Salal Hill Trail, a short but steep path that makes switchbacks up the hill. The view from the top is worth the sharp climb. 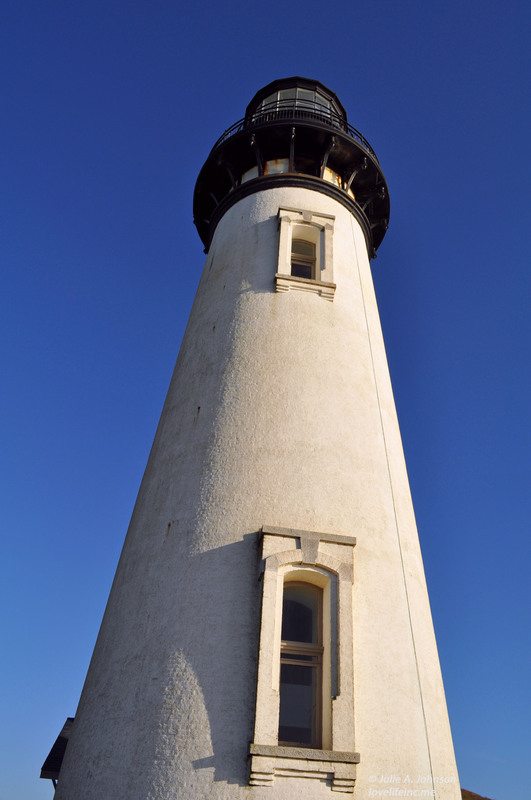 It offers the opportunity to photograph the lighthouse from a different angle, and you can see all the way to Newport when the shore is clear of fog. Cooper enjoyed the hike (and the new friend he made along the trail), but probably would have liked it to be a bit longer. But he got a few treats at the top, so I think that made up for it.